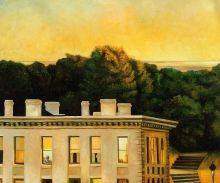 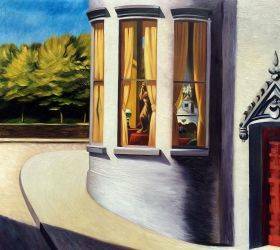 Through their depiction of modern urban life in towns big and small, all of Edward Hopper's paintings display important facets of American culture. 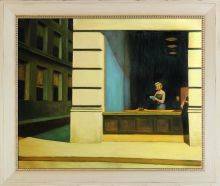 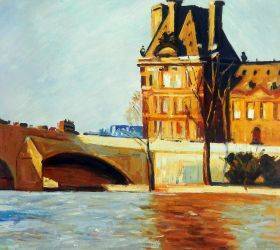 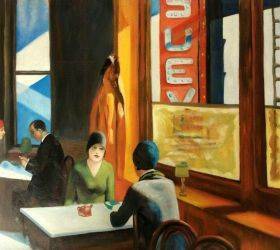 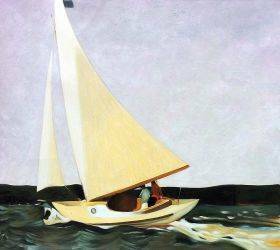 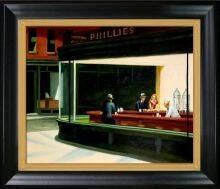 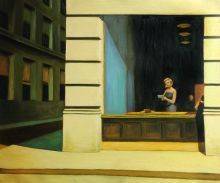 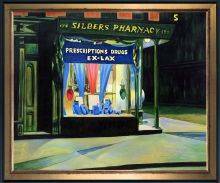 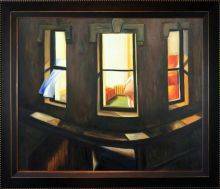 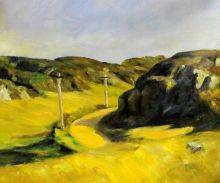 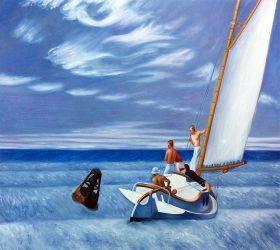 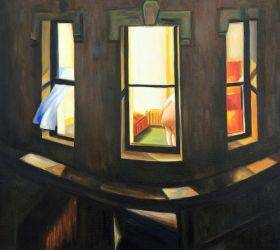 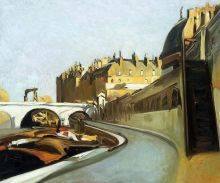 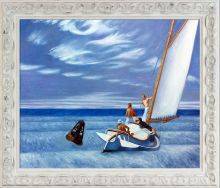 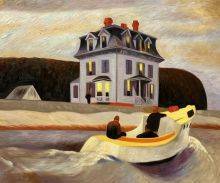 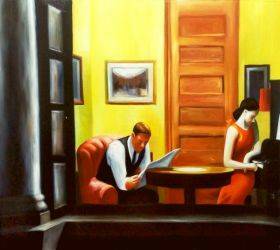 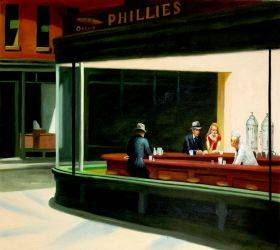 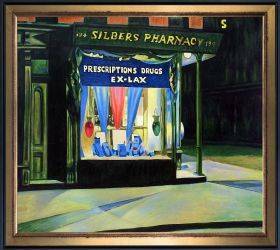 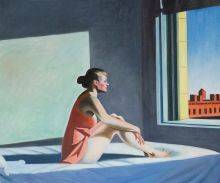 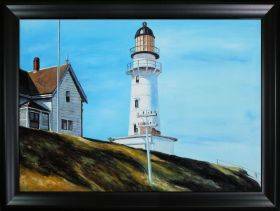 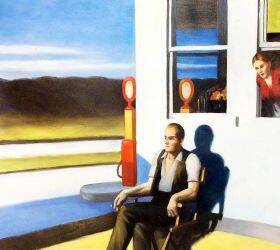 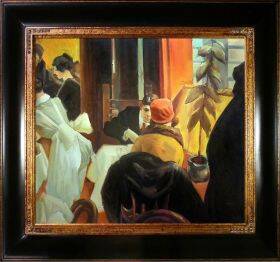 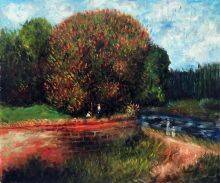 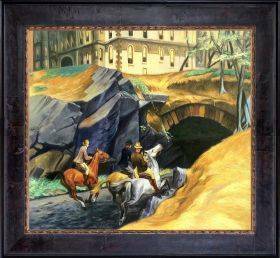 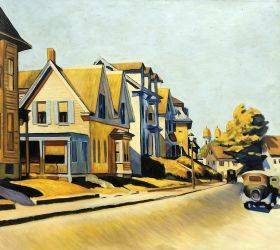 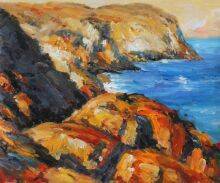 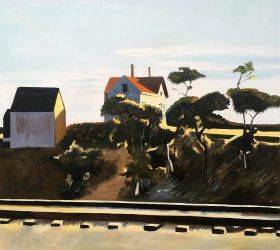 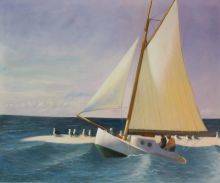 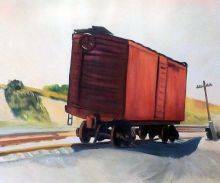 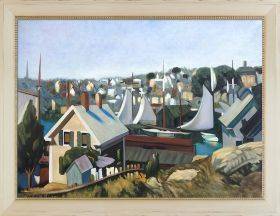 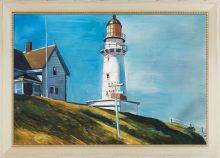 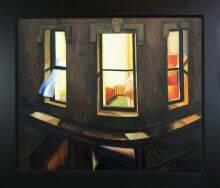 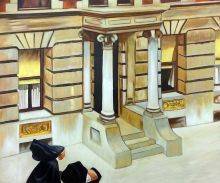 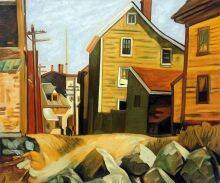 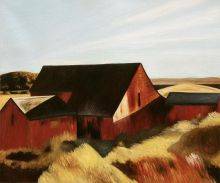 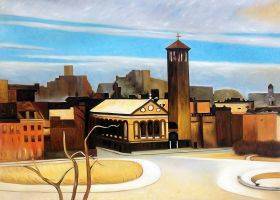 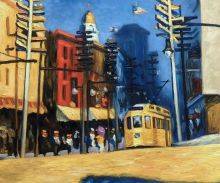 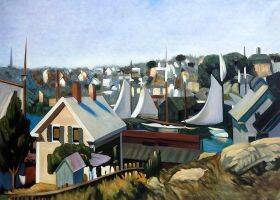 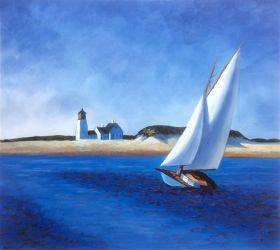 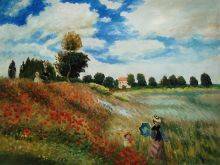 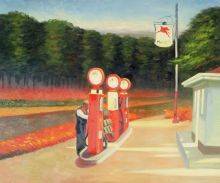 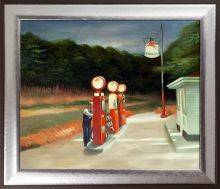 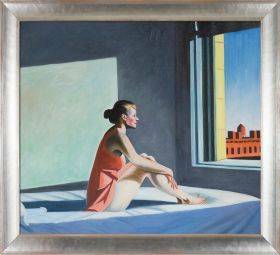 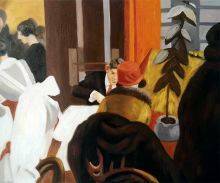 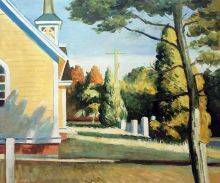 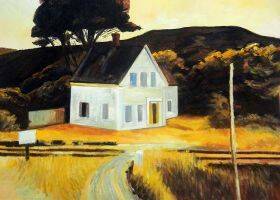 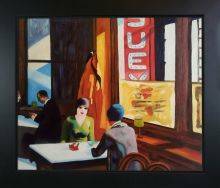 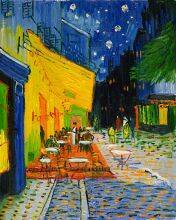 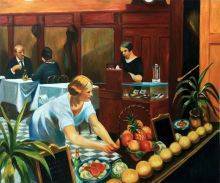 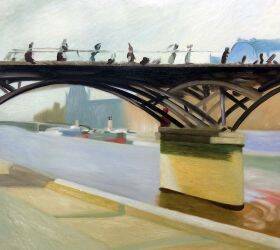 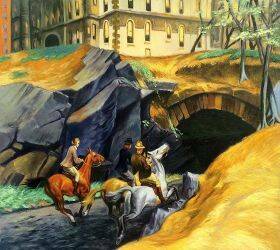 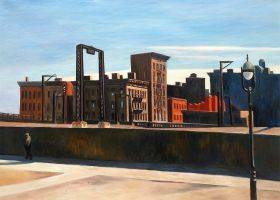 Our selection of Hopper paintings at overstockArt includes a wide variety of this famous artist's vast body of work. 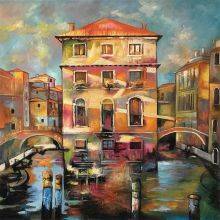 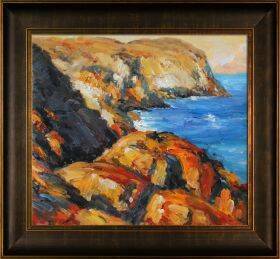 With each one carefully painted by hand, you'll enjoy the same rich colors and textures employed by the artist himself. 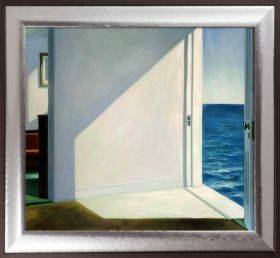 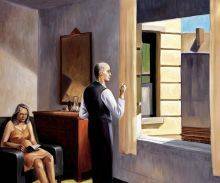 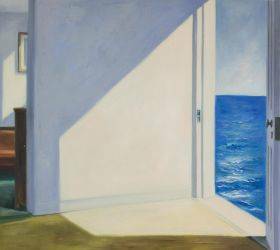 From his famous "Night Hawks" to the stunning "Rooms by the Sea," American artist Edward Hopper conveyed much in scenes where little happens. 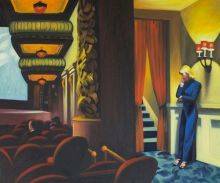 The subdued tones, textures and surroundings bring his solitary subjects into clear focus. 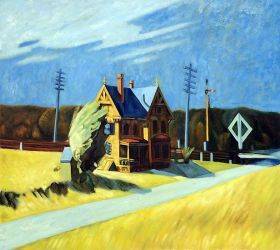 Whether painting a scene of an all-American diner or a country home, Hopper made even the smallest, quietest moments of American life just as beautiful and captivating as moments of triumph and joy. 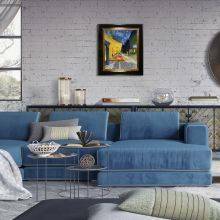 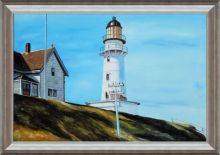 Bring a sense of classic American style into your home by choosing any of these hand-painted Hopper reproductions. 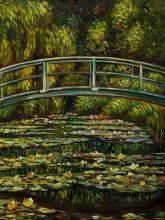 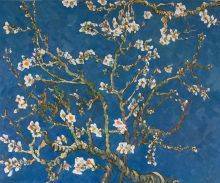 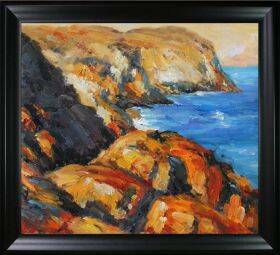 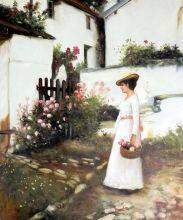 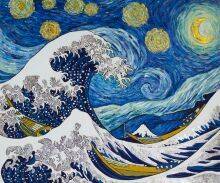 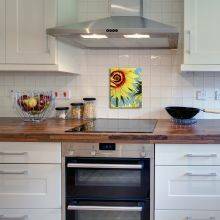 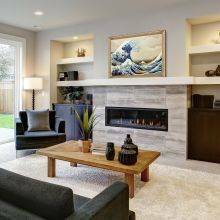 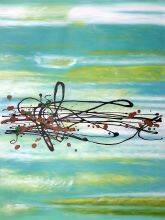 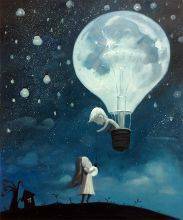 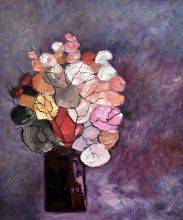 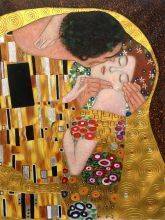 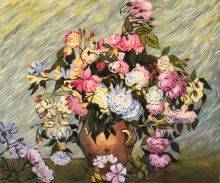 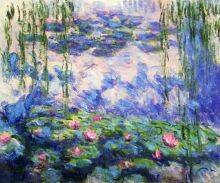 His art will lend warmth and peacefulness to any room while adding a stylish touch. To customize your order, add any of our high-quality frames to the canvas.